"Four Stars ... appearances by the perfectionist, semi-reclusive Gilberto were rare and there’s an atmosphere of occasion about the silence into which he half-whispers the Portuguese lyrics, accompanied by his minimalist but infinitely subtle guitar ... there’s something spellbinding about Gilberto’s intensity when facing a live audience, close up." "... I put the album on early one morning ... in the pitch quiet, I totally fell in love with the music and understood its beauty ... what makes Getz/Gilberto '76 special is Gilberto's tender voice, which forces you to sit forward to hear it. The album is really Gilberto's, with Getz jumping in for solos. As a result, it's more of a Brazilian folk album, featuring the earthy, breathy vocal expressions of a bossa nova founding father. Gilberto sings passionately and sensitively throughout in Portuguese, giving the music an exotic air." 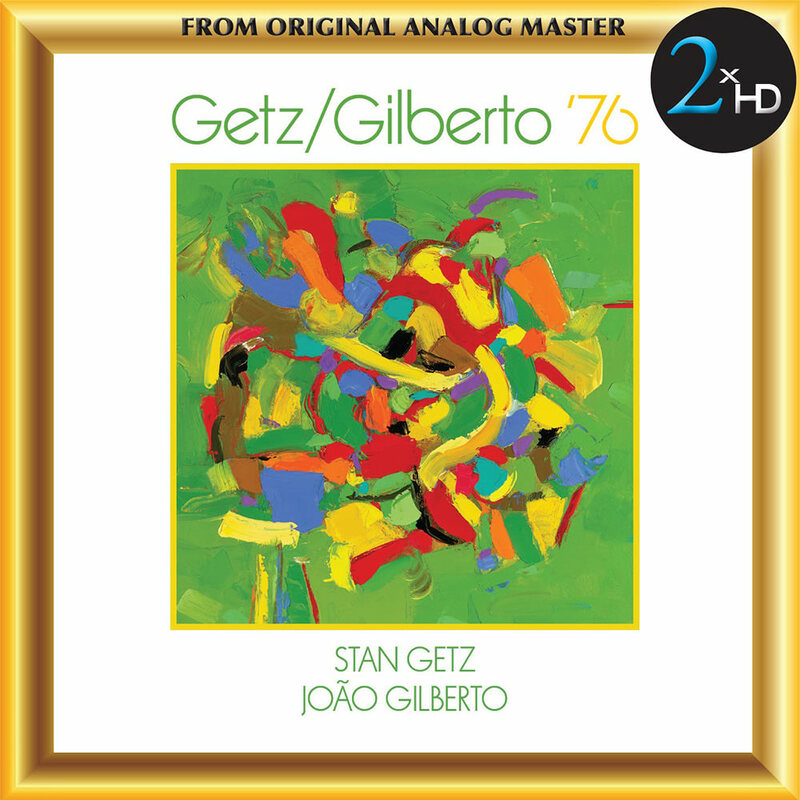 This newly-discovered classic unreleased live music from Stan Getz and João Gilberto was recorded during a week-long engagement in May 1976 at the legendary San Francisco jazz club Keystone Korner. The series of shows represents one of the very few times the famed duo reunited after their initial creative collaboration years earlier which yielded one of the most successful jazz records of all time, the Grammy-winning, million-selling 1964 album Getz/Gilberto and its 1966 sequel Getz/Gilberto #2. "... (João Gilberto is) the most individual singer of our time ... a true originator ... (how) a performer, so gifted, one of the true greats in music should be so hesitant about public appearance, is just one of those mysteries. But he's here this week." Each format (96kHz, 192kHz, DSD2.8mHz and DSD5.6mHz) was created using Merging Horus/Hapi A/D converter, calibrated to the required format and a dCS Vivaldi clock.